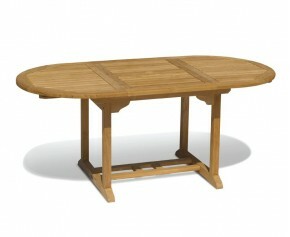 Our oval dining tables offer the highest quality al fresco dining that you could ask for. 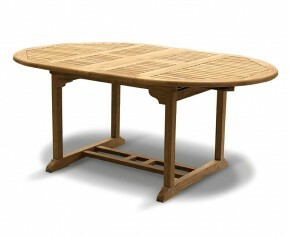 Made from the finest grade-A teak, our oval garden table is more durable than their plastic and other wood counterparts and have the added benefit of being weather resistant. 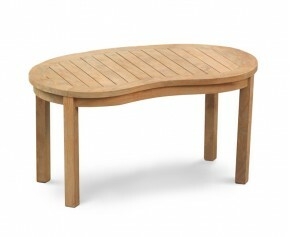 Ideal for larger outdoor areas, this stylish Titan teak oval garden table provides plenty of room for your family and friends to enjoy al fresco dining. 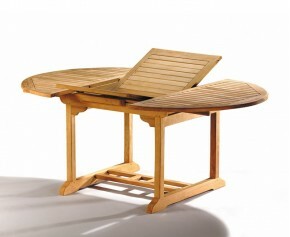 The wide slats have a radial edge to allow this extra large teak oval garden table to dry quickly after a shower and the central rail has been pre-drilled for parasols with pole diameters of up to 5cm. 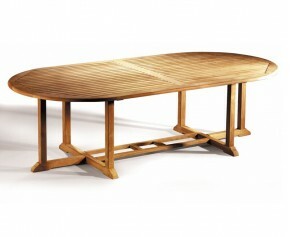 Classically stylish and elegant, this beautifully crafted deluxe teak banana 4ft coffee table is the deluxe version of our contemporary modern teak coffee table. 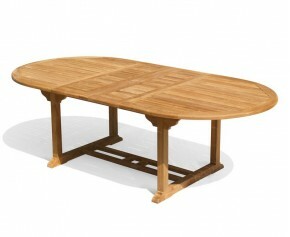 Representing brilliant value for money, this teak banana 4ft coffee table has been expertly constructed in plantation grown A-grade teak, for lifelong durability and aesthetic appeal. This Brompton Bijou double extending dining table is stylish and practical, providing plenty of options for alfresco dining and entertainment. 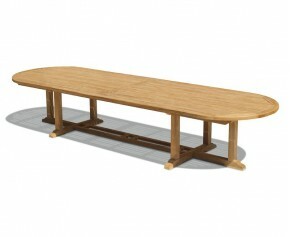 This extendable outdoor dining table has been built to last and can be left outside all year round, ensuring stress-free fruitful use for years to come. 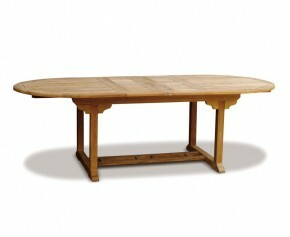 You can leave your oval extending table outdoors all year round to age gracefully. Our oval dining tables come in a variety of styles and sizes so you are guaranteed to find your perfect oval garden table. From our charmingly modern Banana coffee tables to our hard wearing Titan range of oval dining tables, our oval extending table is a smart and stylish choice. 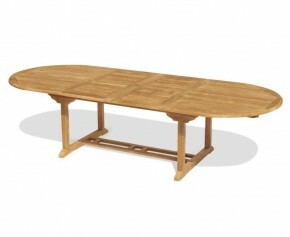 When teamed with our teak chairs, our oval dining tables will look stunning as a focal point. 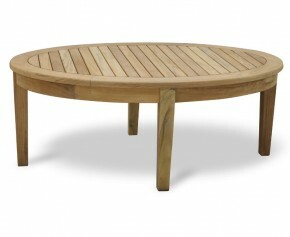 Find your perfect oval garden table here.